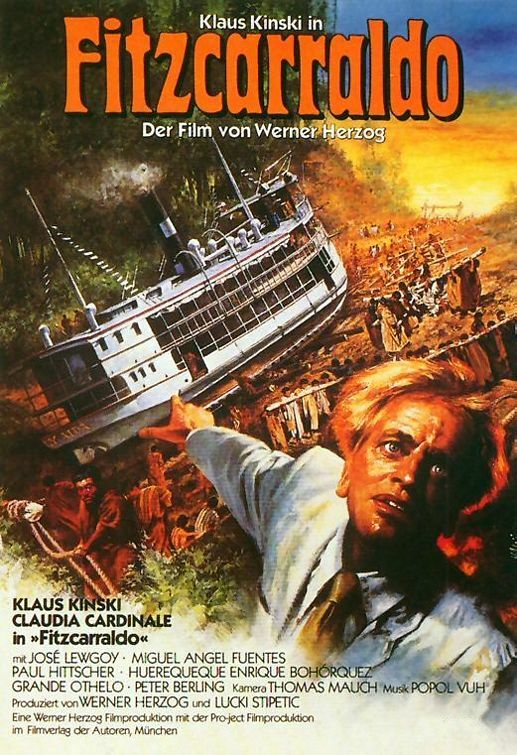 Kinski plays the title role of an obsessed opera lover who wants to build an opera in the jungle. To accomplish this he first has to make a fortune in the rubber business, and his cunning plan involves hauling an enormous river boat across a small mountain with aid from the local indians. 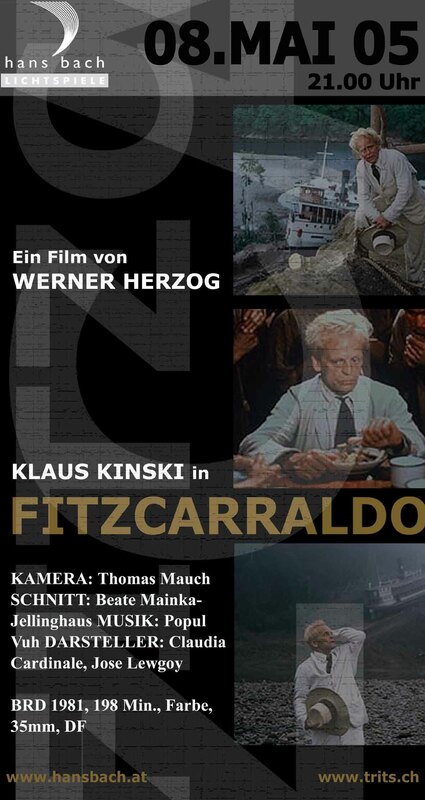 Beautiful Obsessions..., 7 July 2005 Author: Galina from Virginia, USA Full of bravura and inspiring sequences the bizarre epic "Fitzcarraldo" won Werner Herzog the best director award at Cannes Festival in 1982. This is the film that keeps reminding us the words of Oscar Wilde, "We are all in the gutter but some of us look at the stars". Even fewer try to reach the stars and Werner Herzog and his longtime collaborator and frequent adversary Klaus Kinski were certainly the men who have reached them. Brian Sweeney Fitzgerald (or Fitzcaralado - the local Indians' name for Fitzgerald) was a visionary, a man with a beautiful obsession who dreamed of a building an opera house in the Peruvian rain forests and bringing the great singer Enrico Caruso there. 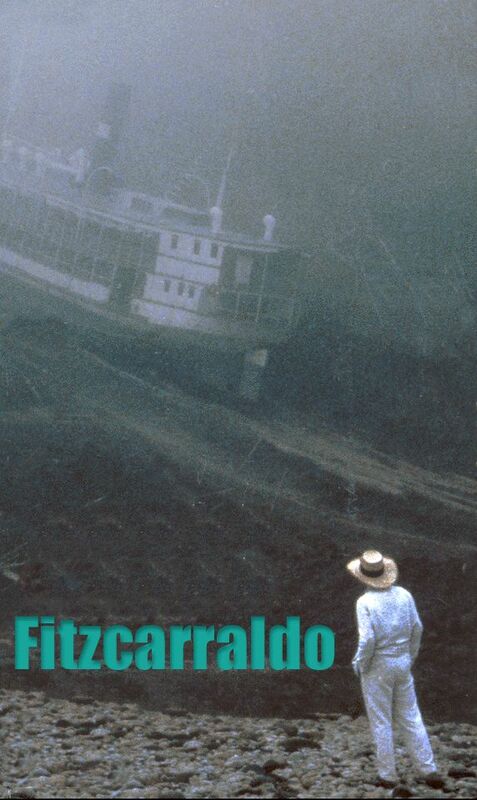 Fitzcaralado's plan involved dragging a huge steamship over a small mountain to avoid traveling upstream through rapids. This plan was duplicated by Herzog during the production and involved the real Indians actually hauling the boat over the mountain. 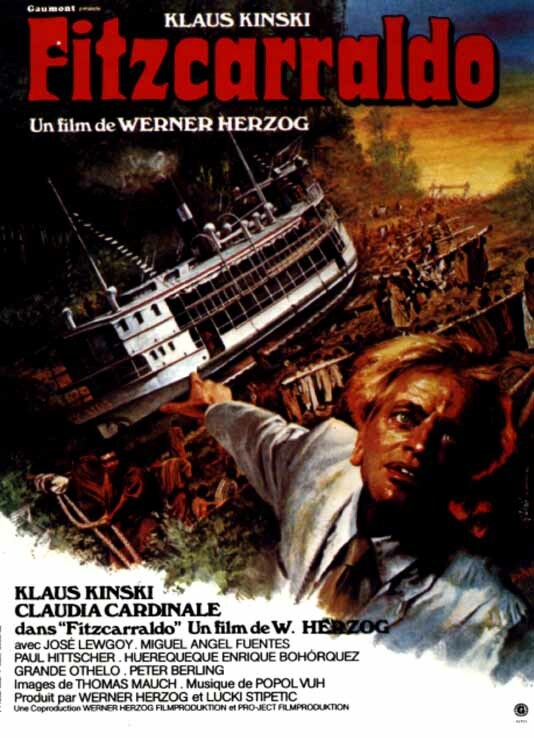 The image of the boat floating in the clouds and the small figure of Fitzcarraldo dressed in the white suit looking with his crazy wild eyes at the boat is one of the most beautiful and breathtaking visions at the screen ever. This film is not as perfect as Herzog's and Kinski's previous project, the stunning "Aguirre, The Wrath of God" but it is a magnificent and fascinating tale that could only be told by its matchless team of creators.